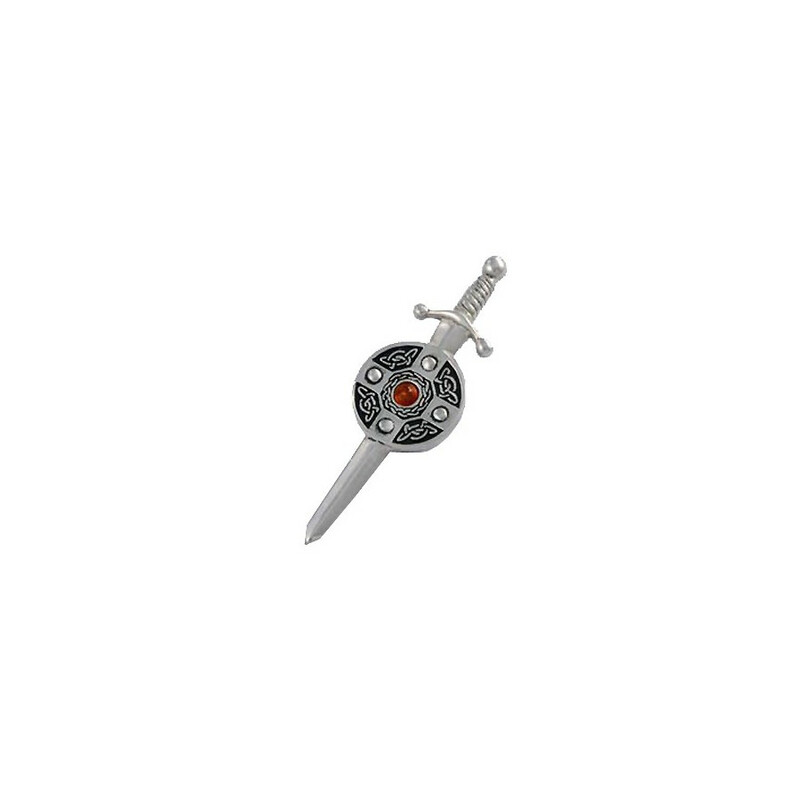 Kilt pin with sword and shield adorned with a gem. This kilt pin is made of tin and adorned with a delicate gem (amber). The knots featured on the shield symbolize the continuity of life. 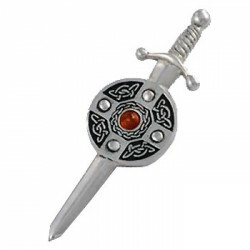 This piece of jewellery is delivered with a beautiful black satin case.